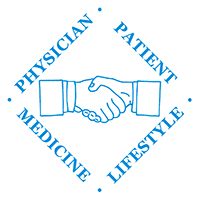 Thank you for choosing Partners in Family Health, PC as your healthcare provider. We are committed to providing quality medical care. Please understand that payment of your bill is considered part of your care plan. We ask that you read and sign this Financial Policy prior to any treatment. Please let us know if you have any questions. We will verify your insurance coverage on every visit. It is the patient’s responsibility to supply all current insurance cards. A $10.00 fee will be assessed for any co-payment not made at the time of service. Full payment is due at the time of service for those without co-pays. A $25.00 fee will be billed for missed appointments or visits canceled with less than 2 hours notice. We accept cash, checks, Visa, Mastercard, Discover and American Express. A $40 fee will be assessed for returned checks. Payment plans can be arranged in advance with the Patient Accounts Department. A fee equal to 30% of the outstanding amount will be assessed to any account forwarded to an outside collection agency. HMO & PPO patients requiring referral authorizations must contact our office prior to making arrangements for health care or testing outside our practice. Any unauthorized charges will be your responsibility. The adult accompanying a minor to a visit and the legal parents/guardians are responsible for full payment. We will not be involved in negotiating between parents in custody disputes. When labs, x-rays, or other tests are ordered by Partners in Family Health, PC, you are responsible to check with your insurance company as to where you are authorized to have these studies done. We will not be responsible for any bill if you have a test done at the wrong location. As a courtesy to our patients, we will submit claims to your insurance carrier for you. For those plans that we participate in, we will also submit second or third insurance claims. Insurance plans vary considerably, and we cannot predict or guarantee what part of our services will or will not be covered by your particular plan. If we perform a physical examination, we must bill a physical examination even if medical problems were dealt with at the same visit. Many insurance plans do not cover physical examinations or will only pay for one per year. The patient is responsible to know the rules of their health plan, as we cannot change our coding in an attempt to obtain payment. Many generic medications are dispensed on-site for patient convenience. Patients can check their blood pressure on their own while in the office. Just ask the receptionist for one of the cuffs. There is no charge for this service, UNLESS the reading is elevated and a doctor or nurse must see the patient.